Hello folks, its a long weekend here in Oz so we’re off to the mountains for a bit of chill out time with some friends. I just wanted to leave you with my last fabric print – a bit better than some of my previous attempts so i can share this one with you!! 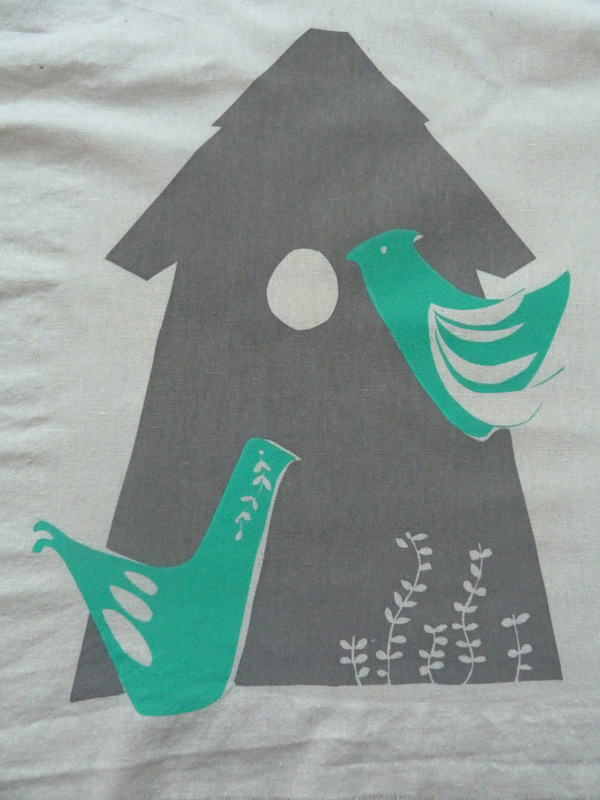 Finally got around to a two colour print, the design was based on an idea for my mum as she loves a nice birdhouse and some birdies!! Although the course is over i have purchased a screen and some paints so i hope to carry on doing a bit at home if i can. Have a fab weekend people – next week i can finally share with you the finished lamp and recovered shade project, so pop by if you can! Lovely! The colours and design are fantastic It looks professional!!! Please could you make me an apron? Yes, that’s next on the list! !